So far it's been a wet, sloppy, and unseasonably cool spring, even by southern standards, but I'm already sweating just thinking of that one-two punch coming here inthe southeast where Mother Nature leads off with face numbing heat only to catch you off balance with her muggy blanket of humidity. It sounds more like evil super powers than it does climate but either way you're getting a beat down. Even with that I've been on a big 60's surfy garage-rock kick lately and what better way to get that itch scratched that to stick with the West Coast. 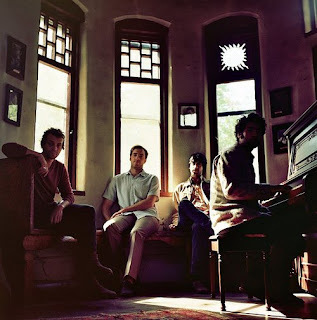 Los Angeles' the Allah-Las have a throwback sound directly descending from early Kinks and The Animals and if it were possible to get any lower-fi than 60's garage rock then these guys have managed to do so. The quartet formed in 2008, three of the four members met while working at renowened music shop Amoeba Records in Los Angeles. They relesed three singles over the next four years leading up to their full lenght debut Alla-Las which came out last year on the Innovative Leisure label with initial pressing selling out quickly. 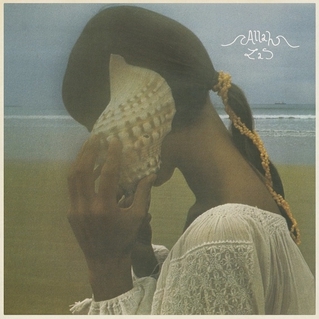 Never straying far from mid-tempo, Allah-Las manages to soothe you over with a dozen seductively laid back tunes that beg to be listened to through a pair of vintage headphones while staring through your bedroom window deep into that afternoon sepia glow. The album plays evenly beginning to end and is one of those that really should be listend to that way. It doesn't belong on your iPod on shuffle-play; this one was made for vinyl. The Allah-Las are currently touring through Europe and will be playing the Primavera Sound festival in Barcelona in May.